Pierre Matter’s Imaginative Hybrid Sculptures. These are gorgeous! The bull and rhino ones put me in mind of the old arcade shooter Saint Dragon. very cool. Where can I see these? H.R. Giger and a robot had a baby and they named it Pierre Matter. So You're Saying These Are Pants? : "very cool. Where can I see these?" Check his website, in the first link of the post. Hah, whoops. Fair. Nothing currently on exhibit huh? 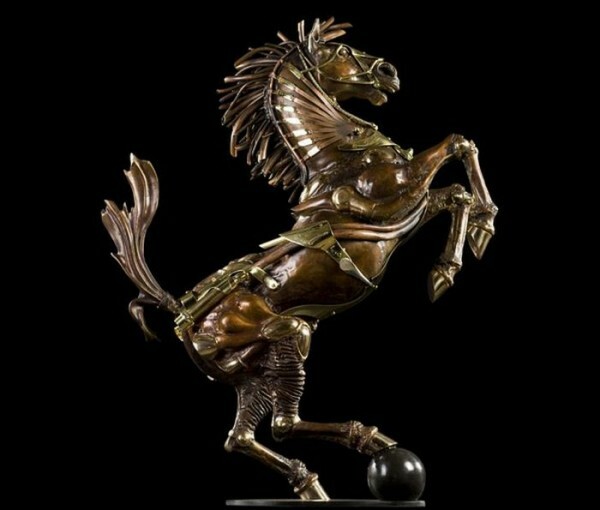 The steampunk horse is my favorite, of course. Apparently Giger also had a baby with Justin Bieber. Aieee. I will never be able to unsee those.